Prime Minister Mark Rutte has urged Russia to stop spreading ‘all sorts of nonsense’ about the criminal investigation into the shooting down of flight MH17. The Dutch ambassador in Moscow has been summoned to the foreign ministry in response to last week’s report by an international team of investigators, which concluded that the plane was hit by a BUK missile fired from a field in eastern Ukraine held by pro-Russian separatists. In the latest sign of heightening diplomatic tensions between the two countries, foreign minister Bert Koenders called in the Russian ambassador last Friday to complain about ‘unacceptable’ comments from Moscow. 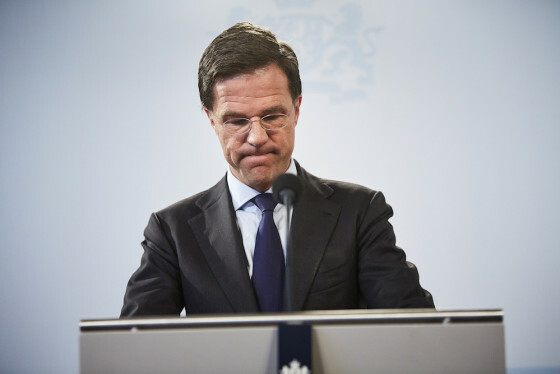 Rutte said he expected the Russians to co-operate fully with the inquiry, which is being led by the Dutch public prosecution service, as agreed under the terms of UN security council resolution 2166. ‘But also that they stop spreading all kinds of nonsense about the quality of the investigation,’ he told NOS. Russia has steadfastly denied any blame for the MH17 crash and described the prosecution team’s report as unprofessional, biased and politically motivated. Earlier in the week Kremlin officials held a separate press conference where they claimed on the basis of radar pictures that the plane was shot down by a Ukrainian missile. All 298 people on board the Boeing 777 jet were killed when it was hit by a missile while flying over eastern Ukraine on 17 July, 2014. The Malaysian Airways plane, which was heading towards Kuala Lumpur, had diverted its course to avoid a thunderstorm.